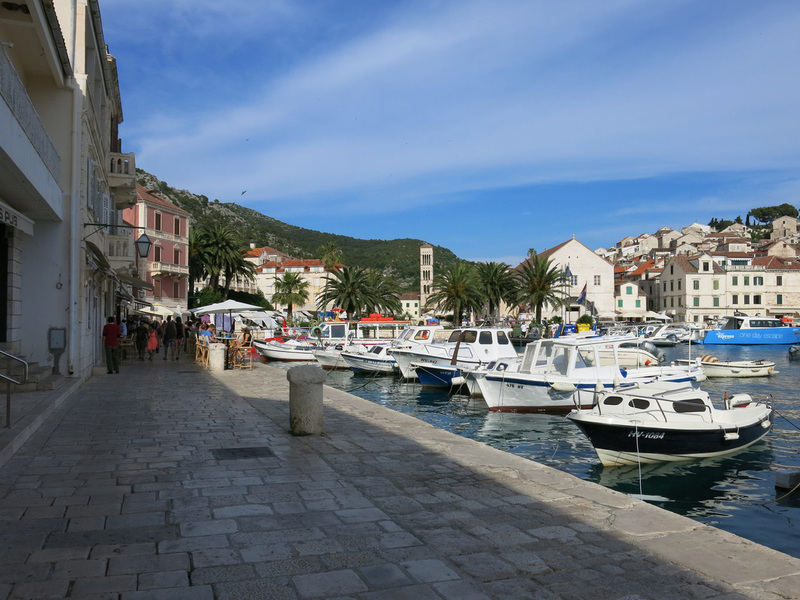 An hour ferry ride from Split is the island of Hvar. 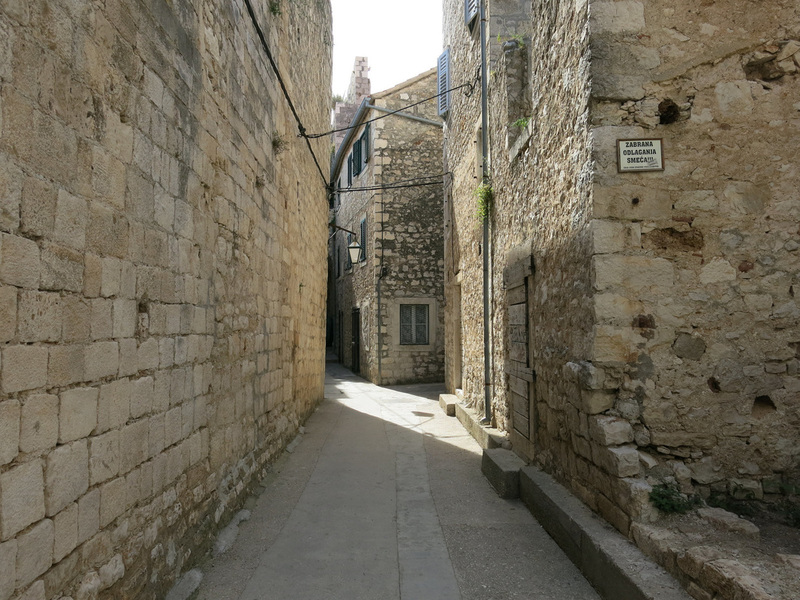 There are several towns on the island although the namesake village is the most developed. 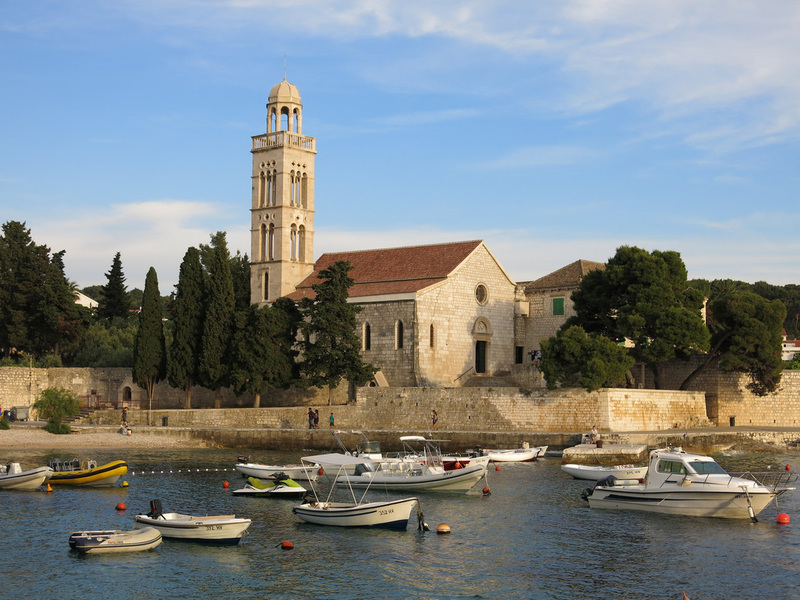 A short walk from the pier leads to a large square with a church at the far end. 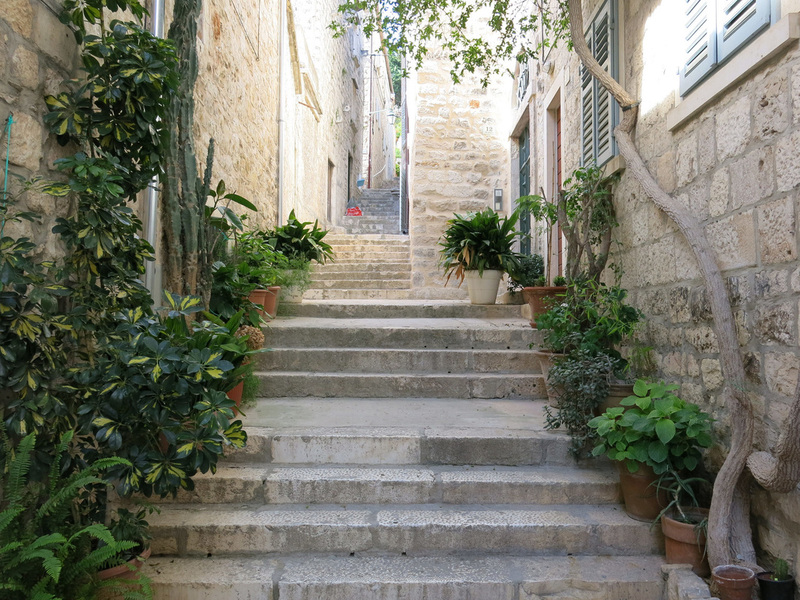 The Hvar village follows a similar pattern as the other Croatian Old Towns - narrow boutique lined walkways lead to cafe decked squares. It's impossible to resist the lure of a comfortable chair and ordering an espresso or cappuccino. 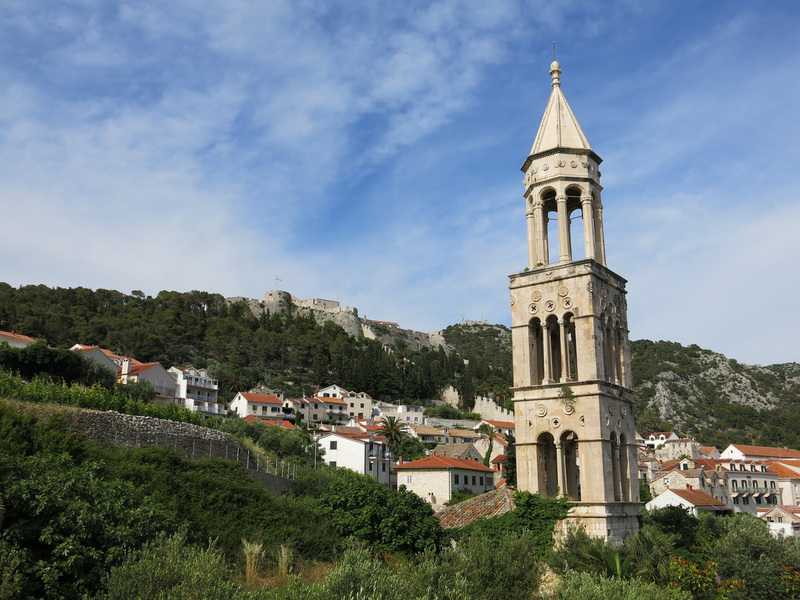 Hvar village ascends steeply uphill with a fortress along the top ridge. 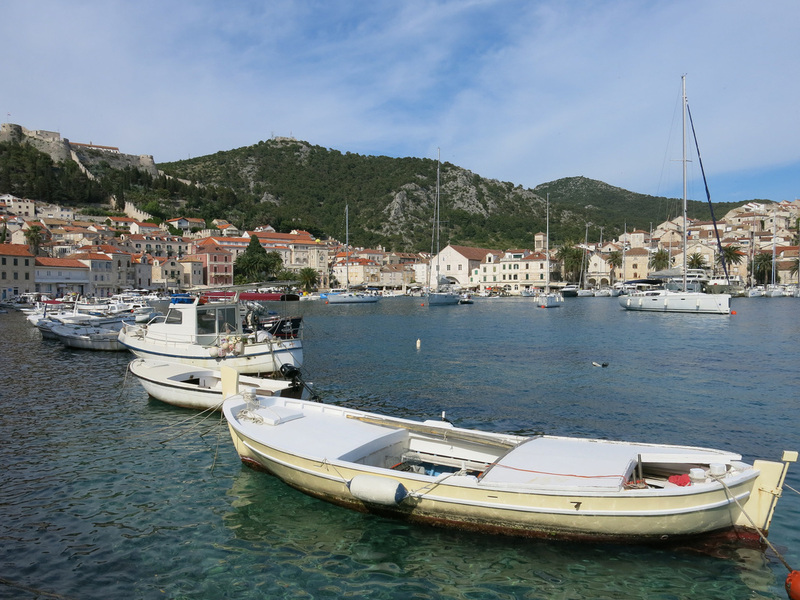 There seemed to be a few local residents although the island seems to cater to day trippers and overnight visitors. There are a few beaches although with a full day it seems that there are a few other islands and inland hikes that could occupy time between coffee breaks. 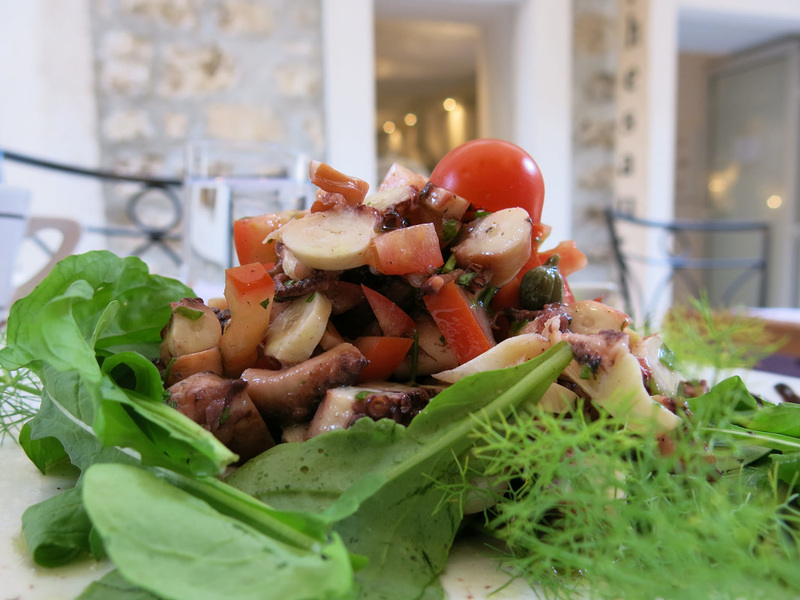 Prices are noticeably cheaper than Dubrovnik and the signature dish, Octopus Salad, is better than any meal I had earlier in the trip. 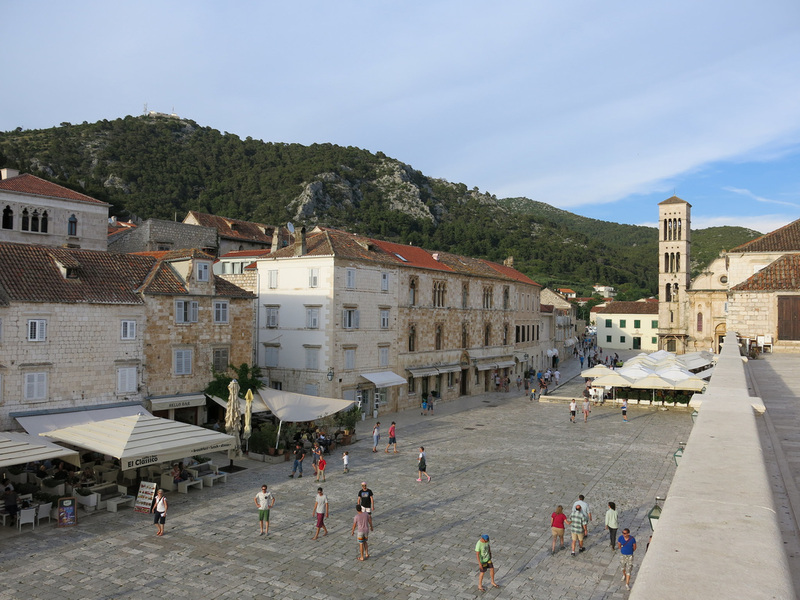 The last ferry left at 7:45 and starting to grow wearing of tourist driven Old Towns I was prepared to return to Split.